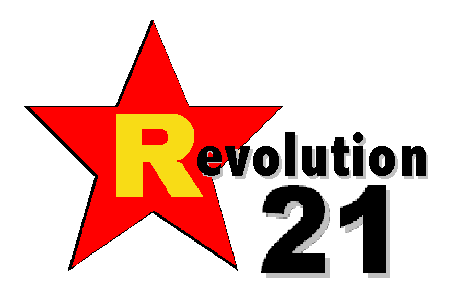 Revolution 21's Blog for the People: If Otter were Romney's debate coach. . . .
Greg Marmalard, who goes by Barack Obama these days, thought he was being smart in the foreign-policy presidential debate Monday night. And Pinto just sat there and took it up the wazoo with that "horses and bayonets" bit o' condescension. I blame it all on that wussy little angel hovering over his one shoulder. "Ladies and gentlemen, the issue here is not whether we have these ships that planes can land on or boats that can go under the water. We do. The issue here is that we have the president of the United States of America -- The commander-in-chief! -- comparing the United States Navy to horses and bayonets like it's some irrelevant and antiquated entity. "Can you imagine, the commander-in-chief looking upon our brave sailors as if they were something quaint from an exhibit at the Smithsonian put together by a bunch of liberal eggheads? If the commander-in-chief can cast aspersions upon and ridicule the entire United States Navy, what's to stop him from disrespecting the United States Marine Corps? "And if he can disrespect the United States Marine Corps, the Army and the Air Force surely will be next! How do we know he hasn't already? We don't! And he probably has! I mean, if you can disparage the United States Navy -- if, indeed, you can give up the ships -- there's no reason why he wouldn't go after the grunts and the devil dogs and the airmen, too! "And if Barack HUSSEIN Obama can belittle the military he unjustly commands, he'd just as well disown the United States of America! And when you have a president who disowns the United States of America, ladies and gentlemen, what you have is a fifth column at the heart of the American government. "And if you have a fifth columnist at the heart of the government of this venerable and God-blessed republic . . . I cannot bear to repeat the word one would use to describe such an individual. "I put it to you, Mr. President - isn't your statement a repudiation of our entire American society? Well, you can do whatever you want to me, but I'm not going to sit here and listen to you badmouth the United States of America. Gentlemen!" AND THEN "Pinto" Romney would lead half of the debate audience out of the hall, humming the Star-Spangled Banner. Yeah, that would have been a debate worth watching. As opposed to what we actually got. So, I'll just give my fellow Americans my standard advice. What we need to do now is to start drinking heavily. No one should have to sit through the last two weeks of this election sober as a judge -- it's in the Geneva Conventions. Labels: Animal House, Barack Obama, culture, debate, government, humor, media, Mitt Romney, politics, presidential election, Washington D.C.